You must make bookings at least 5 minutes in advance of the time at Sake no Hana. 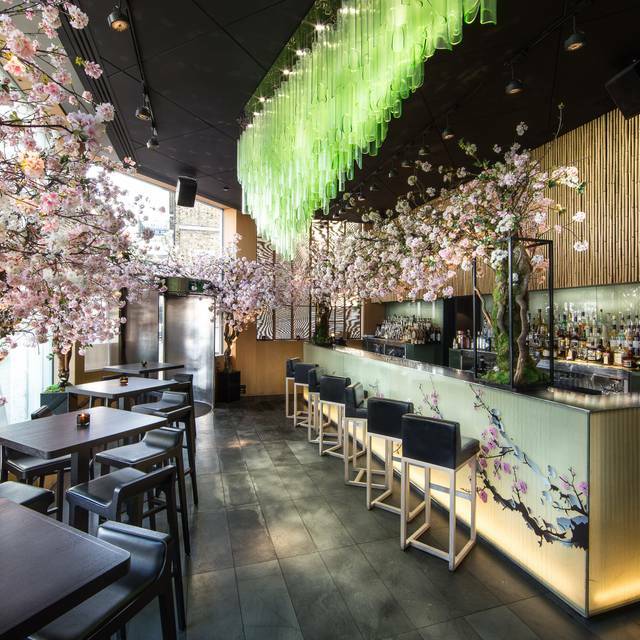 Sake no Hana bar and restaurant is housed on the first floor of a modernist Grade II listed building in the heart of St James, offering modern Japanese dining. 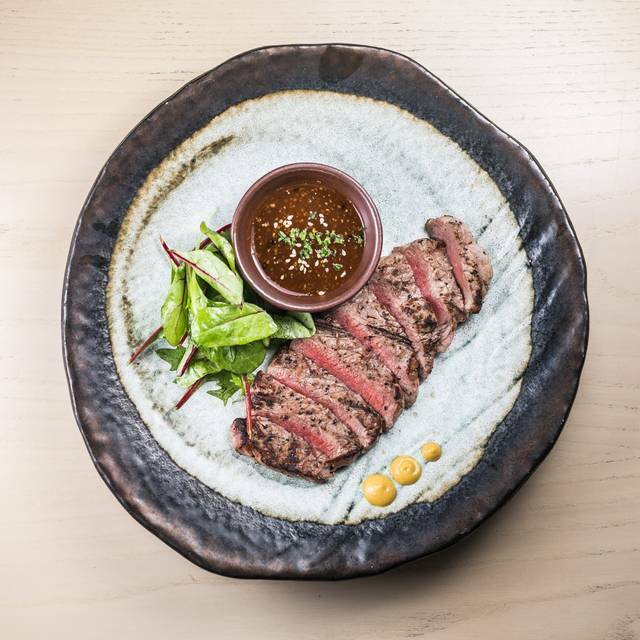 The a la carte menu provides a variety of hot and cold appetisers, charcoal grill, Toban and Kamameshi dishes, while sushi and sashimi are prepared to order at the 13 seat sushi bar. A carefully selected list of sakes, Japanese whiskeys and other wines, spirits and liqueurs complement the dishes offered in the restaurant. 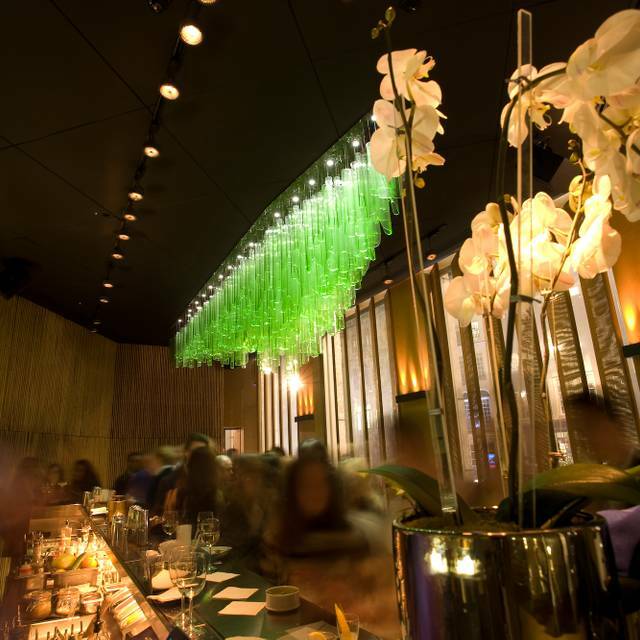 Sake no Hana’s interiors were designed my esteemed architect Kengo Kuma and the bar includes a beautiful futuristic chandelier, offering the perfect space for post work cocktails. 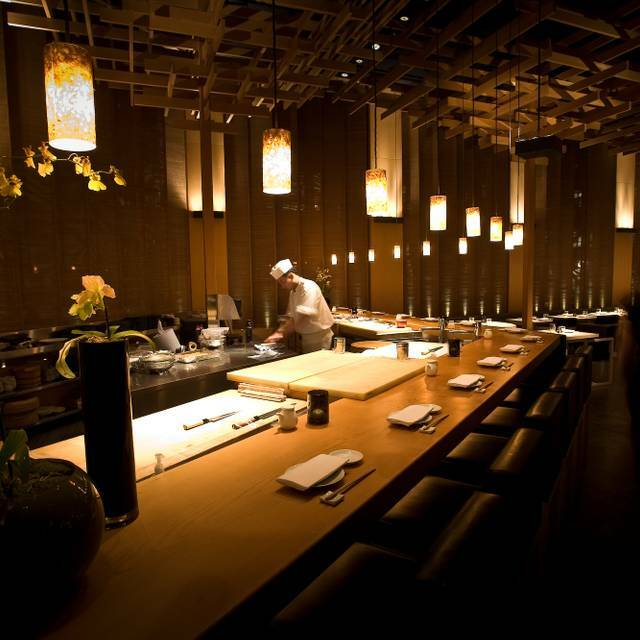 Sake no Hana offers fine dining Japanese in the heart of St James. Available for group dining and exclusive hires for up to 110 seated or 250 for a cocktail party. The bar, decorated with a huge chandelier is a beautiful space for private parties of up to 60 guests for a standing canapé event. Food was outstanding. Service was ok. Not sure they liked that we brought our three kids. They couldn’t find an extra bowl for my daughter. The Umai Sushi Saturday meal was absolutely amazing. The nigiri was a real highlight! As a sushi newbie I wasn't totally endeared to the varying flavours on offer but that shouldn't take anything away from this nice spot. 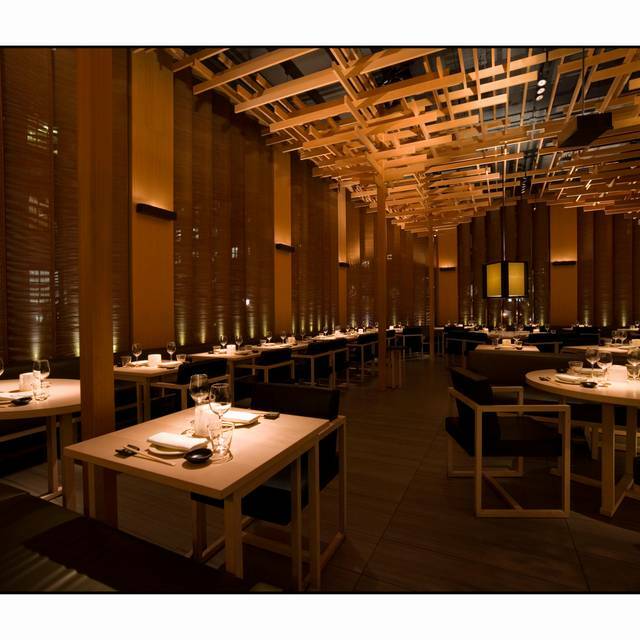 Ambience was great and the service everything you'd expect from the Hakkasan group. Polite and attentive to our needs. Definitely recommended for Sushi lovers. If you're not, probably best to look elsewhere or at least somewhere a little less heavy on your pocket if you're new to the delicacy. The ambience here is wonderful. Plenty of space for a quiet meal and attentive service without being intrusive. We opted for a set menu and the waitress gave additional explanations at each course. They were also happy to alter one of the dishes to make it vegetarian. I would highly recommend for a romantic or business meal as the atmosphere and standards are well-suited to both. Good options for vegetarians. The set menu was average, my local Asian restaurant in Hampstead delivers home much better quality. The miso soup was coldish and point (not exceptional) , the sushi was nice but again not exceptional. The choice of main was ok, we had salmon and chicken, tasted nice but not worth the travel for it. Desserts were tasty enough by could have been a crashed kinder bueno for all I know. The service was nice throughout the 2 hrs slot and then just disappeared on us. Waited for a bill for entire 40 minutes. It got a bit annoying towards the end. Won’t be back. Very good but small-ish portion sizes for the tasting menu! Excellent as usual. Impeccable service, from reception to waiter to sommelier, and terrific set meal. 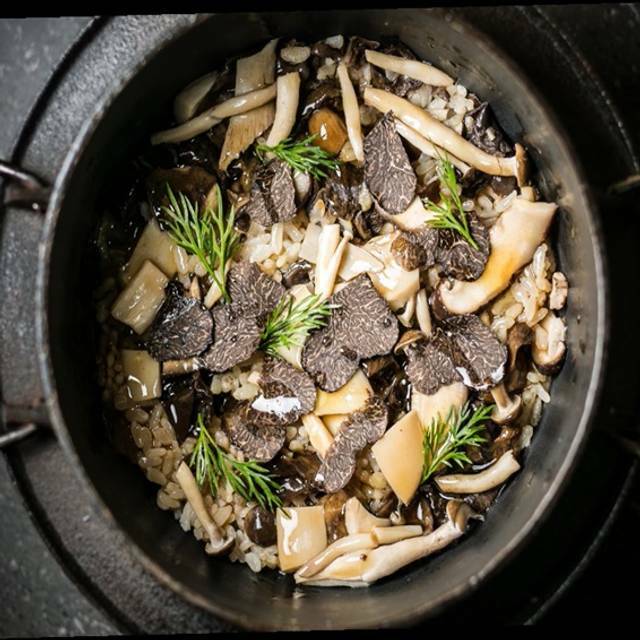 Food is always presented well and service speed and sequence provided ample time to enjoy each course without feeling rushed, nor having an extensive delay between courses. Very mediocre service for a hefty service charge. Food good and vine pairing excellent. My favourite spot to meet with a client or have a family event. Consistently great food and service. Second visit and had the Opentable set menu. The food was more or less the same as last time but not as nice. However would still go back. The food was excellent! The service, not so much. We waited 20mins after we ordered to get our water and beers (this was after we asked our server where our drinks were). We were served one dish (yellowtail carpaccio) and then as they had gotten our sashimi order wrong, weren't served anything further until about 10-12mins later. The one funny thing that happened was that we were quite hungry at this point and whenever any waiters approached our table, we got excited. So we were supremely disappointed when a server came to deliver a pot of soya sauce, followed by a second waiter a minute later trying to place a second pot of soya sauce down! We also only noticed later that we weren't provided with warm towels. That said, try the wagyu beef sushi with uni and truffles. We loved it! Food absolutely amazing and service was good. My main issue is that they cram so many people in! It’s hot and sweaty and feels your dining with strangers. If I put my elbows out, I could have hit people either side of me. Quite off putting for a special occasion. I wouldn’t go back now I’ve been. Also quite pricey. Party of 4 for my 40th birthday. As we ordered our second bottle of wine we were told we’d have to relinquish the table in 15 minutes. We still had food on the way. Utterly unacceptable. A 2-hour turnaround is all fair and well but we sat without even a drink for 20 minutes when we arrived. The wine was not left on the table and I reached for an empty glass dozens of times. Our plates were not changed when we’d had hot food and then ordered more sashimi - so we were eating £5 slivers of fish with prawn tails still on our plates after tempura. Even basic high street sushi places get this right. What’s the point in doing 3 seatings and cramming everyone in if the staff can’t keep on top of it? We couldn’t even finish the second £67 bottle of wine and they had the audacity to charge us for it. We crammed the £25 wagyu beef sushi in our mouths without any enjoyment - just to get it down before leaving. What a waste of money. The food is good but frankly not out of this world as the prices suggest it should be. One of our dishes didn’t even arrive and I forgot to check if it was on the bill. The only good thing was the trainee sommelier - lovely chap. We went to a cafe a few doors up and ordered more food, desserts and a bottle of champagne - the evening was salvaged, thankfully. The experience at Sake No Hana was just beyond appalling. We usually go and have wonderful à la carte food but the set 5-course menu was utterly disappointing. Celebrated a birthday at Sake No Hana. Received a prompt call from the restaurant asking what i'd like to write on the dessert, thought this was a very nice personal touch. The ambiance of the restaurant was lovely. Our table was slightly at an angle from the others so felt we had enough distance/privacy from the other diners. We did the Opentable 5 course offer. Food was delicious! Appetiser was amazing, though strange for the miso soup to be served at the beginning of the meal. Traditionally, it's at the end before dessert. The chicken miso main was great & the dessert was wonderful! Really appreciated that this was served in a manner that wasn't obvious to the birthday recipient. Amazing attention to detail from the staff! Nice ambiance, suitable for any occasion. Decent food quality, fast delivery. Friendly and attentive staff. Although the food was absolutely delicious and well presented, the service was very mediocre and not what I would expect from such a high end restaurant. Our drink orders were messed up and very little communication, especially to the waitress who took over our table (wonderful, by the way). She did her very best try and save the table, but after half an hour wait for tea and being asked three times if we wanted something to drink, it was said and done. Again, the food is very, very good, but the service does not justify the cost of dining there. It was OK. Service slow, spent 15 mins sat down before anyone came over. The set menu was pretty disappointing. Good food and presentation. But service was very poor. Waiters did not know who ordered what food and drinks and had to ask us several times. The most expensive set menu came with seared kobe beef but it was cold. When complained we were lectured this is how it should be! Fantastic meal at Sake no Hana, we went for the Umai Sushi Saturday option and it was outstanding. We could not fault one single course of the seven courses in this option. The staff were attentive and the atmosphere was very relaxing. I would thoroughly recommend the Nasa Goma Arare which was very tasty and their Bamboo dessert was stunning. It's a white chocolate mousse in a white tempered chocolate made to look like bamboo. Great value for money. We will Definitely be returning. Nice food. Nice atmosphere. Nothing outstanding though. They have a lot to learn in the Japanese food field. Sushi, sashimi and rows were average. If you are looking for excellence in Japanese food quality and FRESH this is not the place. The base for Rows are pre cooked and prepared and assembled. They are kept ready to be finished only inside a aluminum bow. I ordered a yellowtail sashimi and They were pre cut , ready inside a fridge .. tasted like frozen food. Also one of the chu toro sashimi I ordered came with nerves and tasted awful, even the sushi men realized the bad piece he served me and changed after I complained. This is a place for ambience and cooked food only. I am very disappointed coming from Hakkasan group . Great service, attentive staff (except at the end, the new waiter we had was a bit rushed and stopped short of getting me and my client out of the door). Food was great, first waiter we had was really good and advised on best food to have. I will comeback again soon. Succes deserved, service, speed, food, athmosphere really good. The whole team at Sake no Hana did a great job to make my wife’s birthday dinner special. Highly recommend the tasting menu with the Wagyu beef. Amazing experience with a sold diversity of dishes. The restaurant is too expensive for the quality and quantity of the food. The service level was far below expectations. 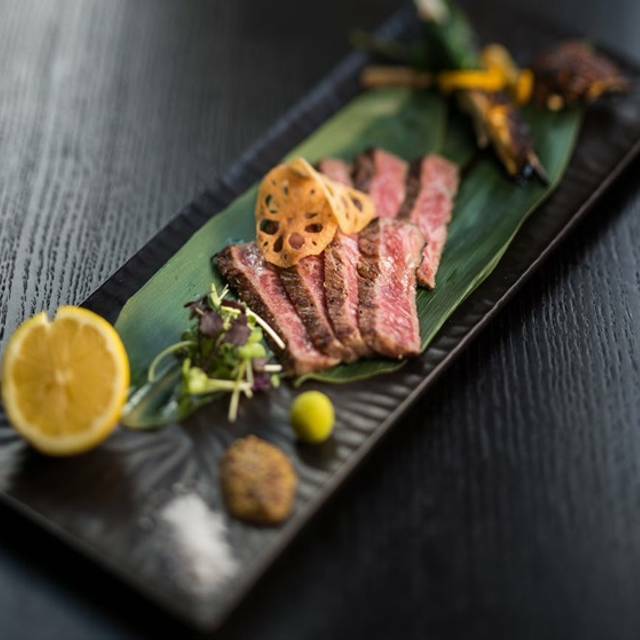 There are many other better Japanese restaurants in London. We had an amazing experience at Sake no Hana my husband and I. The food (and drinks - best cocktail ever!) was amazing and came in abundance. I would definitely recommend the Umai Sushi Saturday to anyone and everyone! Not impressed at all with the tasting menu. Prepare to take lift to the toilet - very strange setup. 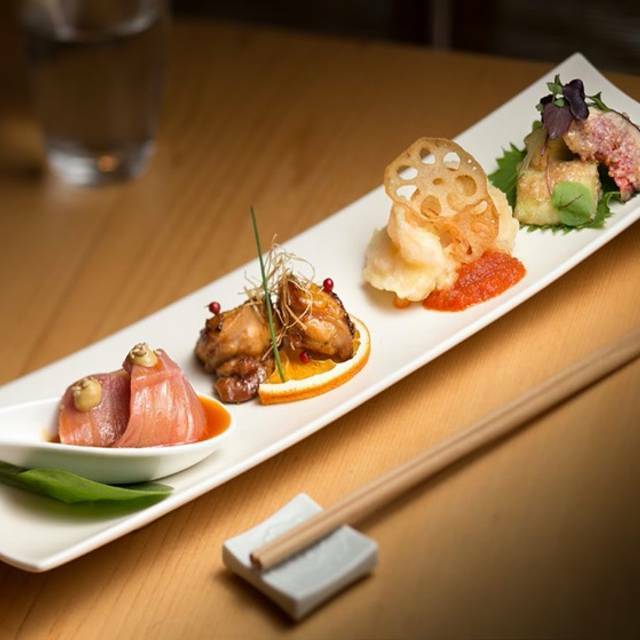 Best Japanese Gastronomy in London. Menu is very interesting. It’s a great restaurant and the food is amazing but the service is just not good. I don’t know if there is not enough staff but we sat there for 15 minutes not even being asked for water. We had the most amazing leisurely lunch. Incredible food, beautifully presented. Gorgeous fizz and cocktail and super attentive but discreet service. A wonderful time was had. I have been going to Sake no Hanna for some time, especially after shopping in the West End on a Saturday. The service and value are great but the Saturday menu could do with a refresh. Bored by eating the same thing. The al carte is pricey but the value offered by the Saturday lunch to include cocktail and free-flowing champagne is great. Also as this, a Japanese restaurant could they not consider Sake as an option for those not keen on champagne every time? I know it is a niche option but surely the food and drink would be better paired. It was all very nice and I would definitely come again.